Introduction: Granulomatosis with Polyangiitis (GPA) is an antineutrophil cytoplasmic autoantibody (ANCA)-associated vasculitis. Manifestations of this systemic vasculitis can be seen in otolaryngologic, pulmonary, renal, cutaneous and ophthalmologic organ systems. Otolaryngologic manifestations include nasal discharge or crusting, nasal septum perforation, scarring, subglottic inflammation, conductive hearing loss and sensorineural hearing loss. Herein, we present representative radiographic and endoscopic images of the nasal and subglottic manifestations of GPA. 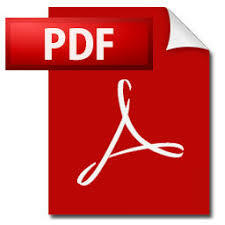 Methods: Retrospective review of patient electronic medical record. Case Presentation: A 66-year-old female presented to our institution with several years of nasal obstruction bilaterally. She had a 10-year history of GPA that included previous pulmonary involvement without renal manifestations. For the 18 months preceding her presentation, disease control was excellent. At her first clinical evaluation, physical exam with rigid nasal endoscopy demonstrated significant scarring between the nasal septum and the lateral wall of the nose extending to the middle turbinate bilaterally. The patient was taken to the operating room for limited endoscopic sinus surgery and bilateral lysis of extensive intranasal synechiae. To date, the patient has had an excellent surgical result and is pleased with her functional result. Conclusion: It is common for initial presenting symptoms of GPA to occur in the head and neck. Given the broad array of head and neck manifestations seen in this disease process, it is crucial for the otolaryngologist to be cognizant of possible relevant physical exam findings. This case reported here illustrates representative endoscopic and radiographic findings. Treatment of otolaryngologic manifestations of GPA can include surgical treatment and subsequent improvement in patient symptoms, as in the case presented here. GPA is an c-ANCA-associated vasculitis characterized by otolaryngologic, pulmonary, renal, cutaneous and ophthalmologic manifestations [1,2]. The first symptoms of GPA may be in the head and neck in 80-90% of patients . Therefore, it is crucial for the otolaryngologist – head and neck surgeon to be cognizant of the variety of head and neck manifestations of this disease process. Radiographic and endoscopic images of our case of nasal and subglottic manifestations of GPA are presented here. Because of the likelihood of otolaryngology involvement, it is also essential to be familiar of the natural history of the disease process. Head and neck manifestations in the sinonasal cavity include nasal discharge or crusting, nasal septum perforation, scarring, in the upper airway include subglottic inflammation, and in the ear include conductive hearing loss and sensorineural hearing loss [4-6]. In some scenarios, the disease may initially present at a single site (i.e. nasal septalperforation). Frequently, serum analysis will not yet be positive for c-ANCA, making for a diagnostic challenge when considering potential underlying etiologies such as ANCA-negative vasculitis, neoplasm drug-induced or idiopathic. Over the course of the disease, the incidence of these nasal, otologic and subglottic manifestations increase. In one study, disease involvement over time spread to additional sites in the head and neck in more than half the patients studied . In patients with GPA, approximately 16% to 23% of patients are found to have subglottic stenosis . Multiple observations have shown subglottic stenosis to occur more frequently in patients who have the onset of the disease at a younger age. Our patient did have evidence of subglottic narrowing requiring placement of a 5.0 cuffed endotracheal tube at the time of surgery. Approximately 16% to 19% of patients have otologic complaints . Our patient did not present with otologic complaints. Medical and surgical therapies are mainstays of treatment. Medical therapy is typically immunomodulating and most commonly includes methotrexate and cyclophosphamide. Surgical therapy is typically targeted at symptom improvement. In one study, 79% the patients in the study received surgical intervention of head and neck disease as part of disease treatment . The most common intervention is airway intervention at the level of the subglottis. While our patient did not require subglottic intervention, the nasal cavity did require lysis of synechiae for relief from nasal obstruction. GPA is a small and medium vessel vasculitis that affects the renal, pulmonary and otolaryngologic systems. Given the potential for head and neck manifestations to be the presenting symptoms of this disease, it is imperative for the otolaryngologist to be familiar with the presentation and management of this disease. This report highlights a representative case of GPA with otolaryngologic manifestations and presents relevant imaging and physical exam findings. Hoffman GS, Kerr GS, Leavitt RY, Hallahan CW, Lebovics RS, et al. (1992) Wegener granulomatosis: an analysis of 158 patients. Annals of internal medicine. 116: 488-498. Falk RJ, Gross WL, Guillevin L, Hoffman GS, Jayne DR, et al. (2011) Granulomatosis with polyangiitis (Wegener's): an alternative name for Wegener's granulomatosis. Arthritis and rheumatism. 63: 863-864. Gottschlich S, Ambrosch P, Kramkowski D, Laudien M, Buchelt T, et al. (2006) Head and neck manifestations of Wegener's granulomatosis. Rhinology. 44: 227-233. Seo P, Stone JH. (2004) The antineutrophil cytoplasmic antibody-associated vasculitides. The American journal of medicine.117: 39-50. Del Pero MM, Chaudhry A, Rasmussen N, Jani P, Jayne D. (2013) A disease activity score for ENT involvement in granulomatosis with polyangiitis (Wegener's). The Laryngoscope. 123: 622-628. Taylor SC, Clayburgh DR, Rosenbaum JT, Schindler JS. (2012) Progression and management of Wegener's granulomatosis in the head and neck. The Laryngoscope. 122: 1695-1700. Lebovics RS, Hoffman GS, Leavitt RY, Kerr GS, Travis WD, et al. (1992) The management of subglottic stenosis in patients with Wegener's granulomatosis. The Laryngoscope. 102: 1341-1345. Srouji IA, Andrews P, Edwards C, Lund VJ. (2007) Patterns of presentation and diagnosis of patients with Wegener's granulomatosis: ENT aspects. 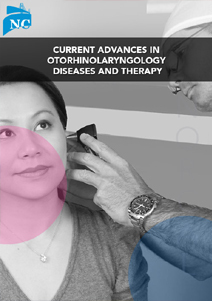 The Journal of laryngology and otology. 121: 653-658.